Guysss, we have some exciting news! 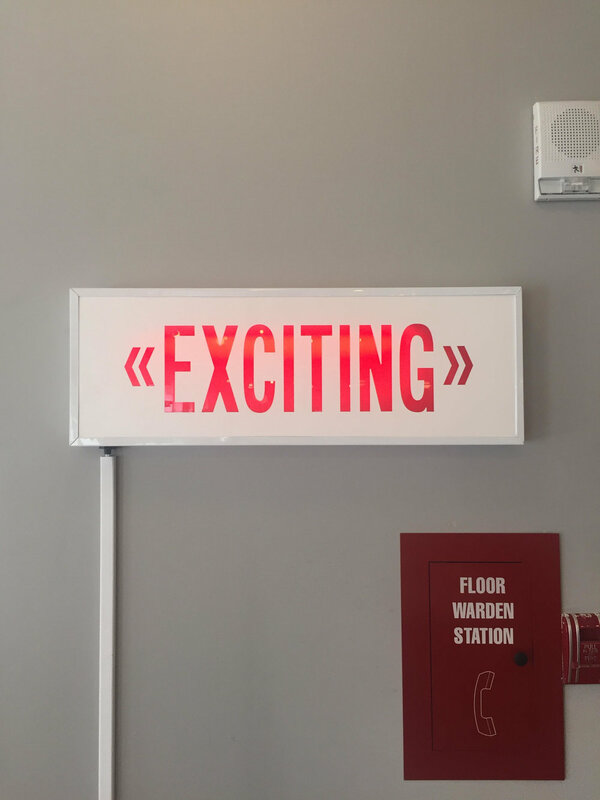 Over the last few months you may have noticed some of our social media posts hinting at being in WeWork’s recording studio with the iHeartRadio team! Well, the time has come to give you the full dets on justtt what we were up to! Let’s start at the beginning to introduce some of the players, starting with WeWork. Depending where you live, you may be familiar with WeWork (and if you aren’t yet, they’re quickly taking over the world in coworking spaces so you will probably soon). The company is a coworking space that caters to freelancers, entrepreneurs, and small businesses that offers everything from shared common spaces, monthly dedicated desks, or small offices. Beyond their desk/office spaces they also have an amazing social network available to members worldwide, they host a tonnnn of free networking and biz related events and their offices are SO cool! Urban, chic.. I just can’t get enough of their décor. What originally attracted me to the idea of WeWork (other than the decor 😜) was the idea of being able to get out of my home office a little bit for a change of scenery for my workspace. I know M and I have both touched on it a bit, but something that reallyyyy attracted us to being biz owners was the mobile and flexibility aspect. We work our booties off, but the fact that we can do that wherever we have our laptops and wifi connection was a total game changer. Which, btw, I’m currently writing this blog post on a flight back to Seattle! We don’t just talk the talk, we live it! So the lifestyle that WeWork supports was SO up our alley and we really love their We Membership option that allows us to book a workspace at different locations -- wherever we may be! Their network has been a total game changer for our biz too. We’ve connected with so many like-minded entrepreneurs and have worked with other WeWork members on projects throughout the U.S. and even internationally – oh heyyyy! So going off of their network, this summer I got a message from someone on the community team looking to connect with WeWork members who use Squarespace for an upcoming collab to help launch Work Radio on iHeartRadio and their new podcast series called “Art of the Hustle”. We are HUGE fans of Squarespace at Bold & Pop as noted here, here and throughout all of our website projects, so I couldn’t say we'd love to be considered any faster. Squarespace has been another company that has REALLY helped build our business, quite literally -- with our website --and also with building our web design clientele. Soon enough after connecting with the iHeartRadio team, I was in and out of the recording studio and sharing why we love the platform at Bold & Pop and how it has impacted our business. Well, I'm excited to announce they picked our segment for their sponsorship spot and you can listen to it below! If you’re a WeWork member orrr if you listen to Work Radio on iHeartRadio you’ll also be hearing my voice on other Squarespace promos! Woop, woop. Even more exciting than our spot is the actual podcast series that it's sponsoring that you haveee to check out! They just launched the first one with the host Ryan Leslie and special guest Ilan Zechory, co-founder and President of Genius and we already know we'll def be adding this to our podcast rotation. Is there anything better than hearing from other entrepreneurs who are killing it!? We just can't get enough. Be sure to check it out --> HERE! We're so thankful that some awesome sponsors including Squarespace came together to help make this podcast a reality! It was truly such an honor to be recognized by Squarespace, WeWork and iHeartRadio for this project. The teams were so wonderful and it was such a neat experience being a part of the launch for both of these projects!